Having a new roof installed is always a significant investment. Since it is such a considerable investment, you should make sure that you choose the right roof for your home and your specific area. The experts can help with this, and should be trusted when it comes to installing the roof. Still, it is your home and the final say of what should go on your home should belong to you. There are several reasons why choosing the right roof type for your area is essential. One reason why you should have the right roof type for your area is that it will offer you the right kind of protection. For example if you live in Colorado, roofs should be designed and installed with snow and ice in mind. So you will likely want an aluminum roof so the heavy snow will not cave or warp it, and allow the snow to melt and drain away. Cold weather asphalt shingles are also a good alternative for houses in these locations. On the other hand, clay tile roofs are ideal in the southwest because they can reflect the significant sun rays and heat keeping your home cool during the difficult summer months. You will also want to choose the right type of roof for aesthetic reasons. Depending on where you live in the country, you may want to have a Spanish style roof that will blend in with other homes in the area. However, if you are somewhere in the northeast and none of your neighbors have one it might be best to choose a different style. The type of roof you have also has a significant impact on your home insurance costs. Home insurance companies are acutely aware of how much protection a roof provides to home. If you end up getting a roof that does not offer homes in your area with enough protection, you could end up having to pay much higher rates concerning home insurance due to the increased risk. When you are looking for a new roof from your home, you should also consider how this roof will impact the value of your property in this area. Home buyers in regions all over the country will want to make sure that you have a roof that is suitable for your location. Having the wrong type of roof could end up being a disadvantage when it comes to selling or valuing your home. Finally, choosing the right roof for your area could save you money. When you buy a roof that is not commonly installed, the materials needed and skilled labor will be less in abundance, you need to make sure to choose great roofing contractors. This could drive up the price of the roof installation. 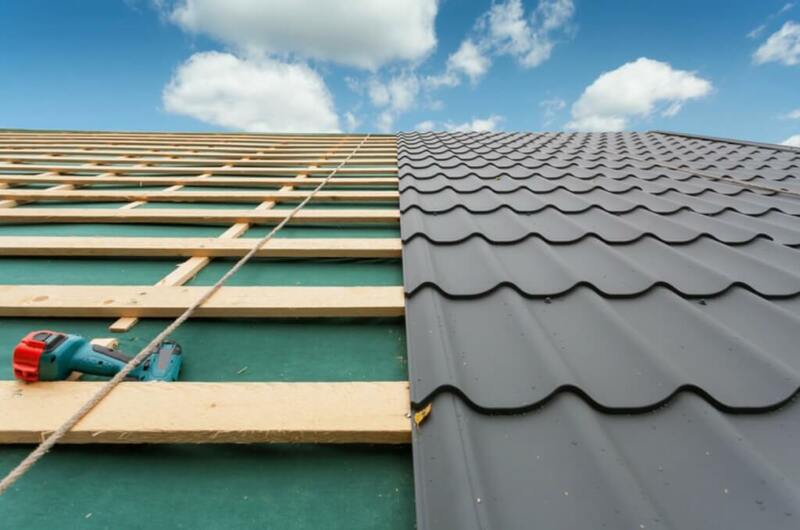 Of course different types of roofing could save you money on your utility bill and water damage, which means in the long run it could actually save you money. Finally, once your roof is installed, it is essential to follow the prescribed maintenance schedule. All roof types have different maintenance needs that should be followed to ensure they last for a long time. Your roof is an important part of your home, and should be treated with as much care as you can. Terry is the Vice President of Slate & Slate Roofing and has over 28 years of experience with both residential and commercial roofing. He specializes in metal roofing, composition roofing, and PVC membrane roofing.